For the metals division of Tata International, these are tough times especially with the global steel sector undergoing a crisis. A look at how the company managed to expand its business while navigating the challenges. The global steel industry is undergoing turbulent times. Plummeting demand – result of the economic downtrend being faced by major economies, global excess capacity and historically low prices, have corroded the sheen from the most widely-used metallic commodity which is needed to build everything from skyscrapers to bridges. Global steel production fell by 2.5 percent in 2015 and is expected to fall further by three to five percent in 2016, according to Ramesh Mani, global head, metals trading division, Tata International (TIL). “I have been in the steel industry for 29 years and never in my career have I seen prices fall continuously for two years. We have witnessed and experienced steel cycles and prices going up and down in the past, but the way it has fallen over the last 22 to 24 months, prices have almost come down to half of what they were,” says Mr Mani. Yet, despite the upheavals faced by the sector, Tata International’s steel trading vertical has managed to grow. “We have done about 1.6 million tonnes of trading in steel in 2015-16, which is nearly 20 percent more than the previous year,” explains Mr Mani. “Even though we’ve done well in volumes, our profitability has come down. We are making money, but not to the extent we want,” says Mr Mani. Steel trading, the biggest vertical for the metals division of TIL, contributes the most to the company’s topline. The steel trading vertical expects to end fiscal 2015-16 with a turnover between $725 million and $750 million. “If prices had remained stable, we would have closed the year with a turnover $1.2 billion to $1.3 billion,” says Mani. As for the bottom line for the vertical, it is about 70-80 percent of target, he adds. The other business units under metals include metallic and rolls, products for the aluminium industry, module mounting systems for solar projects and bicycles. The four businesses contribute about $150 million to turnover, but their profitability is much higher. The volatile outlook for steel notwithstanding, TIL’s metals division is confident of successfully navigating the challenges. “We plan to increase trading volumes by another 20 percent next year to 1.9 million tonnes,” says Mr Mani. For the metals division of TIL, the bulk of volumes in steel trading comes from Asia, Africa and the US. But excess production capacities in China have resulted in a glut in production, which has also coincided with a sharp fall in demand for the metal. Another significant portfolio for the metals trading unit is products for the aluminium Industry. TIL has been servicing the needs of the global aluminium industry since 1985 with its products, mainly cathode and anode bars, being used in smelters across geographies in all continents. 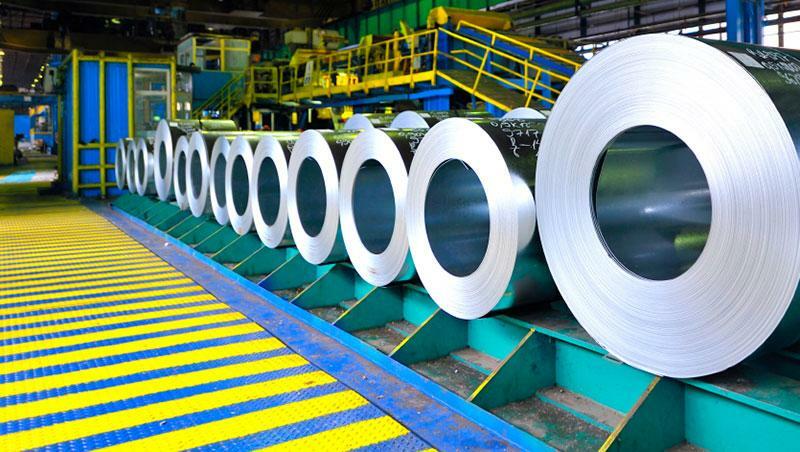 Apparently, the diverse basket of products is helping the metals division face up to the formidable challenges that are confronting the steel trading business.